In addition, this flavorful dish goes well with everything from roasted chicken breasts to pan-seared pork chops. Place fresh or frozen broccoli florets in a microwave-safe bowl with 2 tablespoons water. Microwave on high until crisp-tender. Cooking time will vary depending on individual microwaves, so test after 2 minutes and adjust cooking time accordingly. Do not overcook. Florets should be firm when finished. Add one half of the chopped garlic to cold skillet with one tablespoon olive oil. Set heat to medium and add ½ teaspoon crushed red pepper flakes (if desired) and one tablespoon of butter. Cook garlic over medium heat for approximately 1-2 minutes, stirring constantly. Increase heat to medium-high and add ½ broccoli florets to pan. 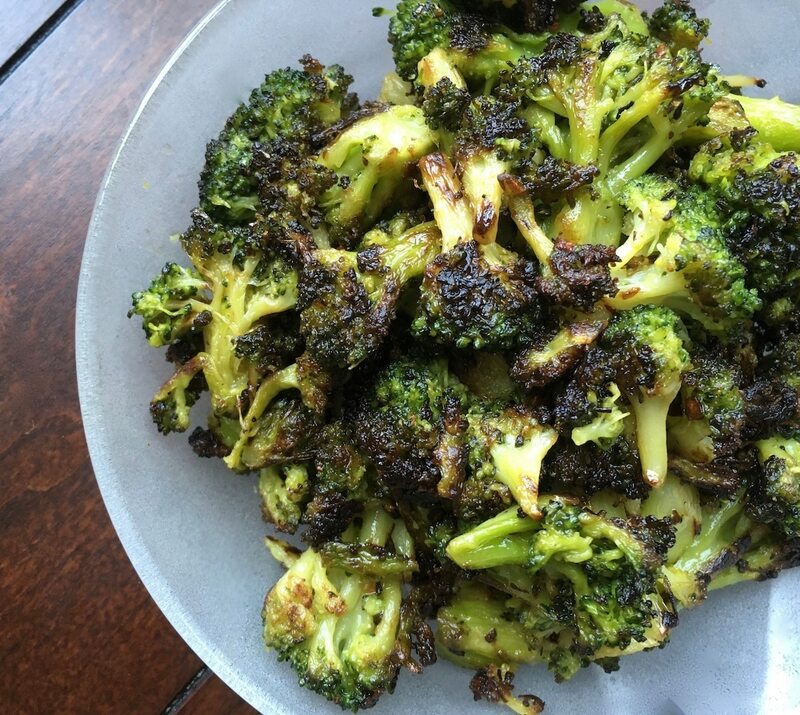 Stir broccoli constantly while searing the florets. 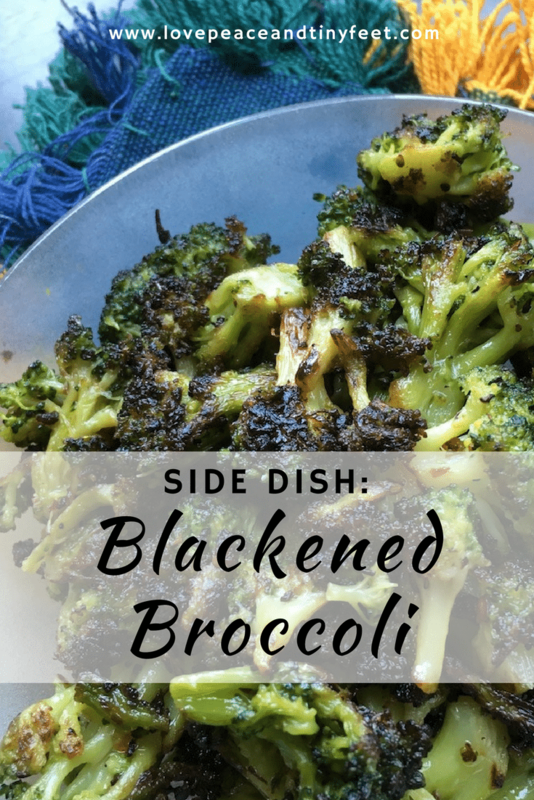 Once blackened, remove the broccoli from the skillet and place in a large glass bowl. Cover and keep warm. Repeat process with remaining garlic, olive oil, red pepper, butter and broccoli. When second batch of broccoli is finished, add it to the bowl with the original batch. Drizzle with sesame oil and toss to coat. Season with salt and pepper, to taste. Serve immediately.